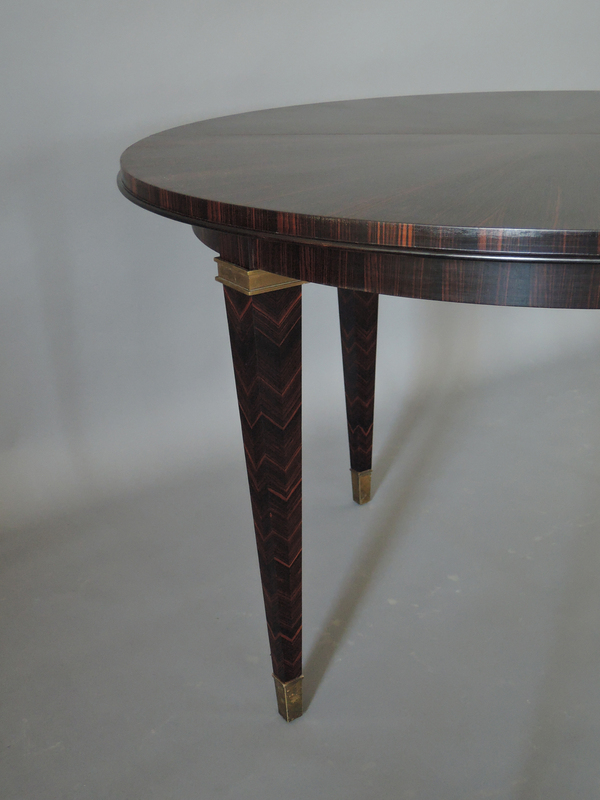 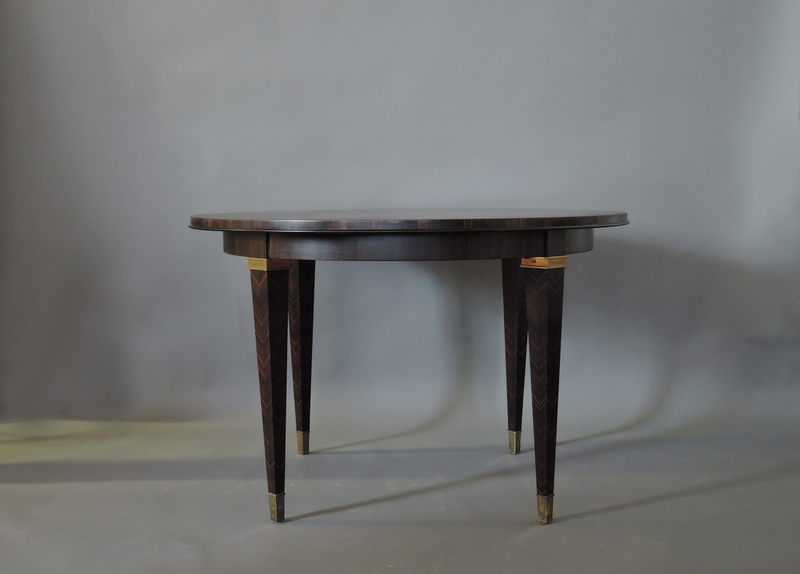 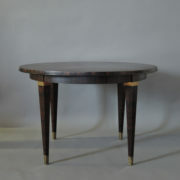 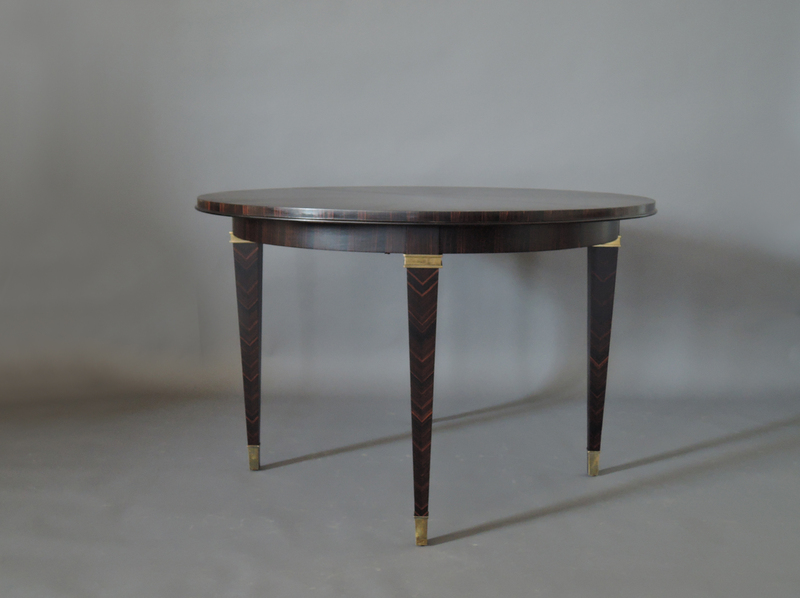 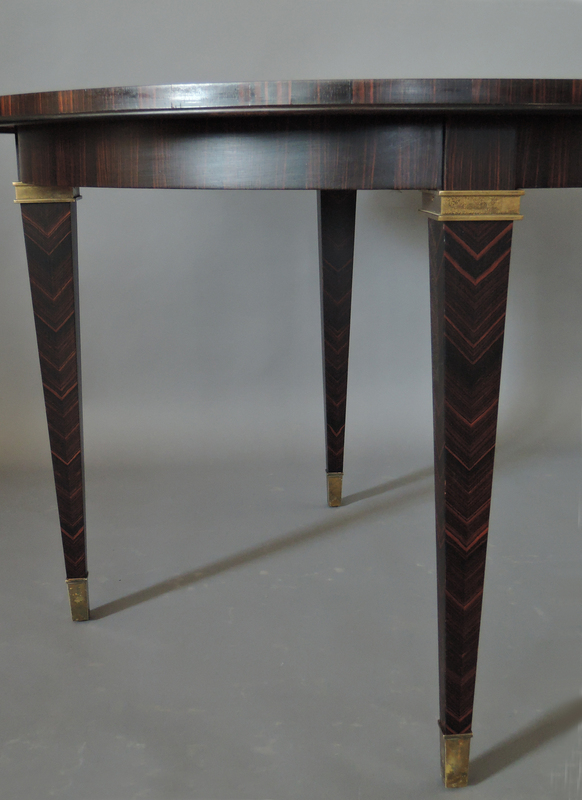 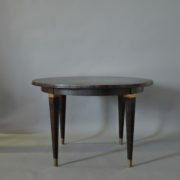 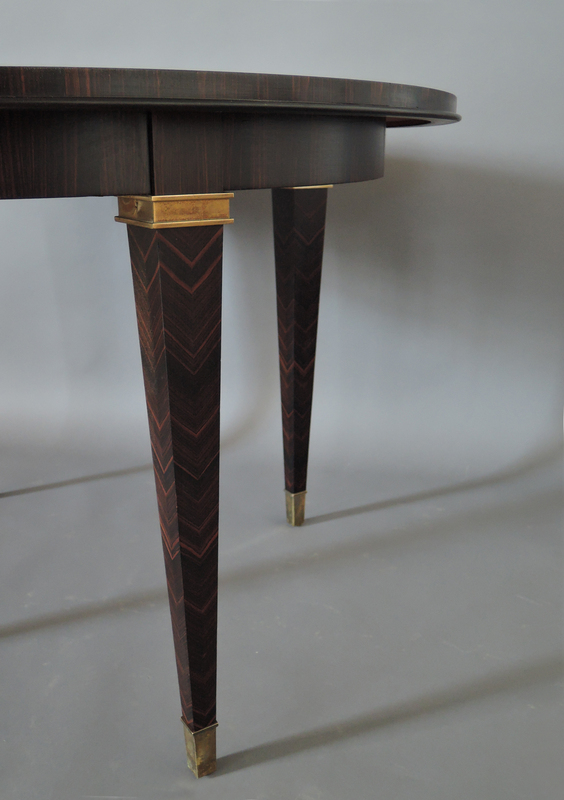 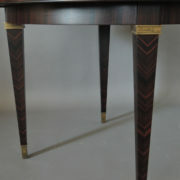 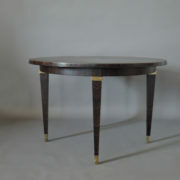 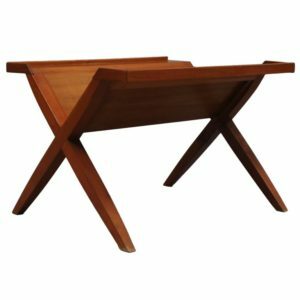 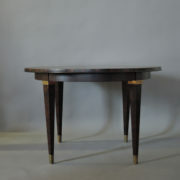 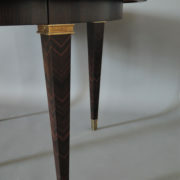 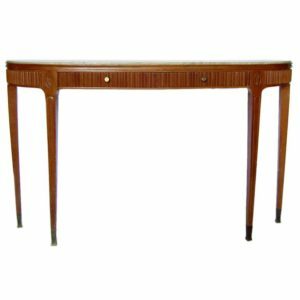 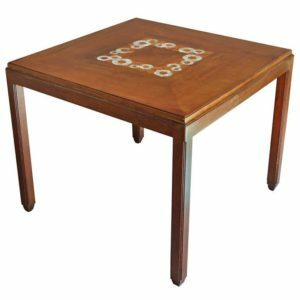 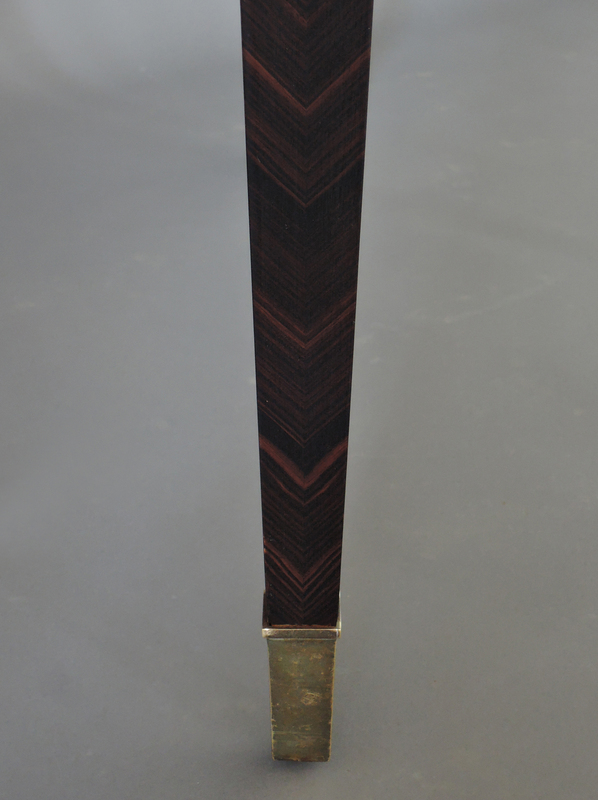 With a sunburst top, marquetry on the four tapered legs and original bronze details. 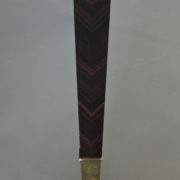 Length fully opened is 104 inches with the three original wooden leaves ((not veneered). 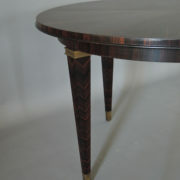 Good refinishing in process (polyurethane). 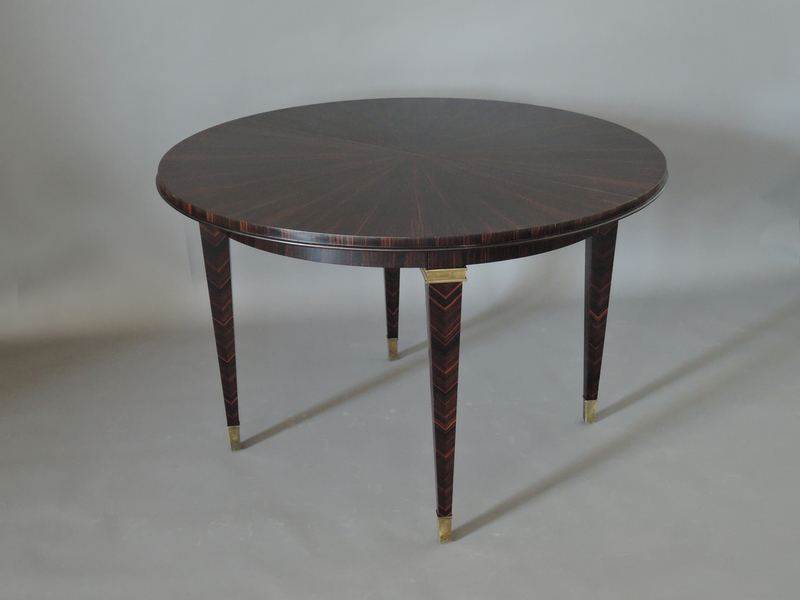 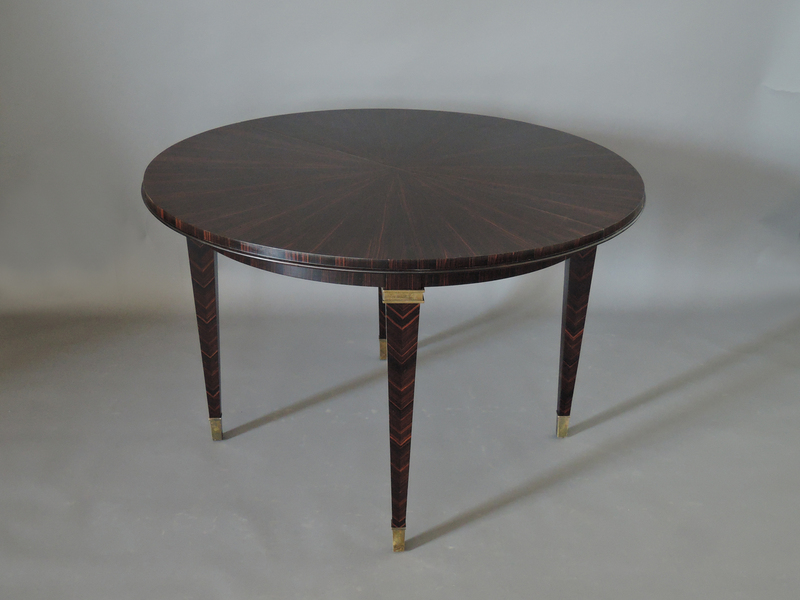 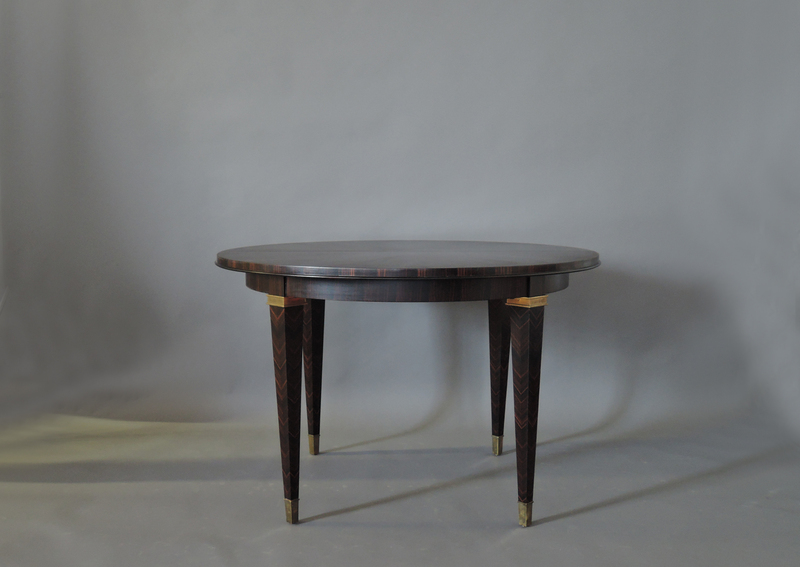 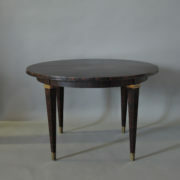 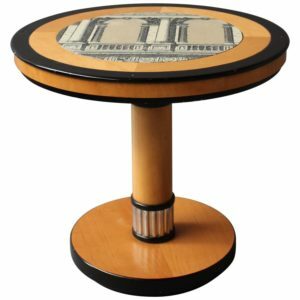 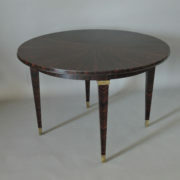 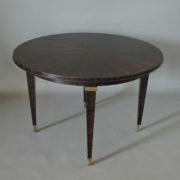 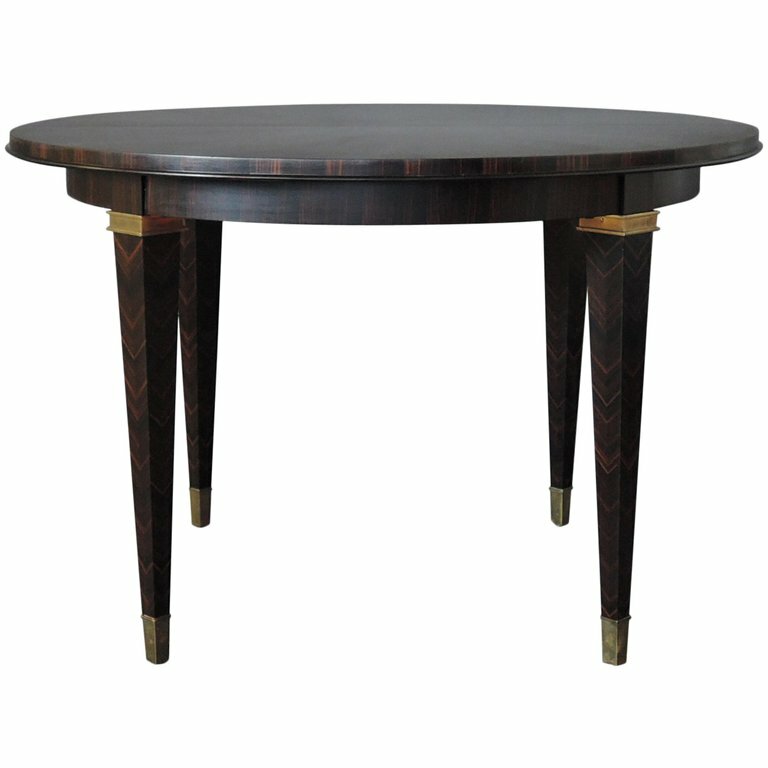 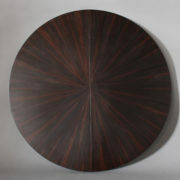 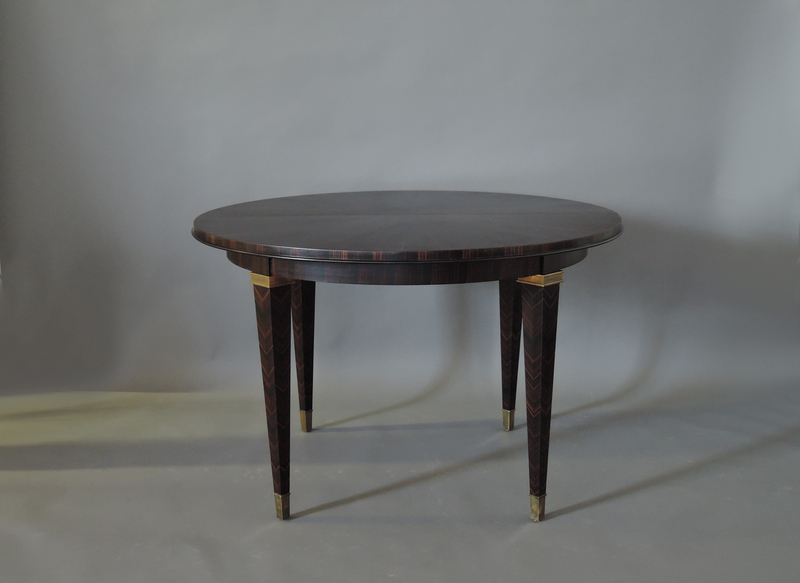 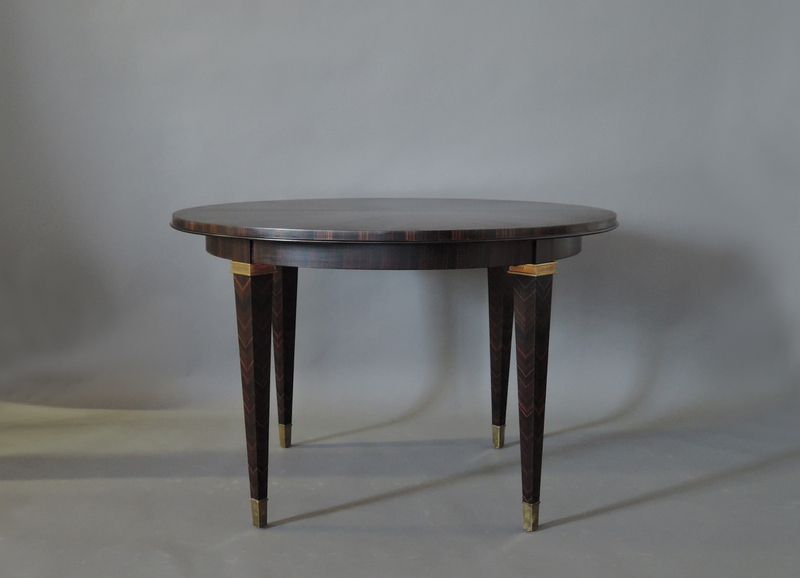 Soyez le premier à laisser votre avis sur “Fine French Art Deco Extendable Macassar Ebony Round Table by Dominique” Annuler la réponse.